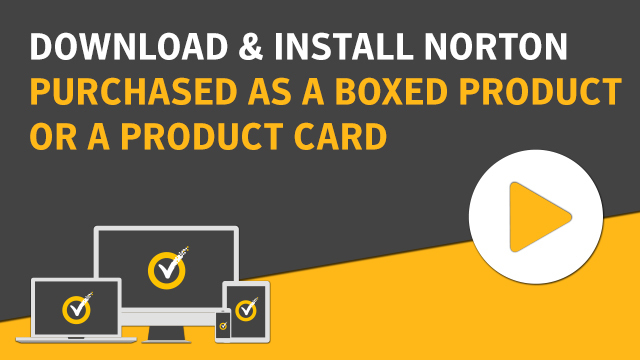 To install your Norton product purchased from a retail store or a third-party affiliated website, you must create a Norton account or add the purchased product to the existing account. During the setup process, you will be offered to enroll in Norton Automatic Renewal Service. Sign in if you already have a Norton account. Please note that your subscription begins when you enter the 25-character key found on your product card or order confirmation email. If you do not prefer to enroll in Automatic Renewal Service, click Skip and proceed to point 9. Read the Automatic Renewal Terms and Conditions and click Agree and Continue. Enter your Credit Card information and click Next. Enter your Billing Address and click Enroll in Automatic Renewal. In the enrollment confirmation screen, click Continue to Download. If you are Norton Security Platinum customer, choose the product you want to install and click Next. To install on Another Device, click Send a Download Link.